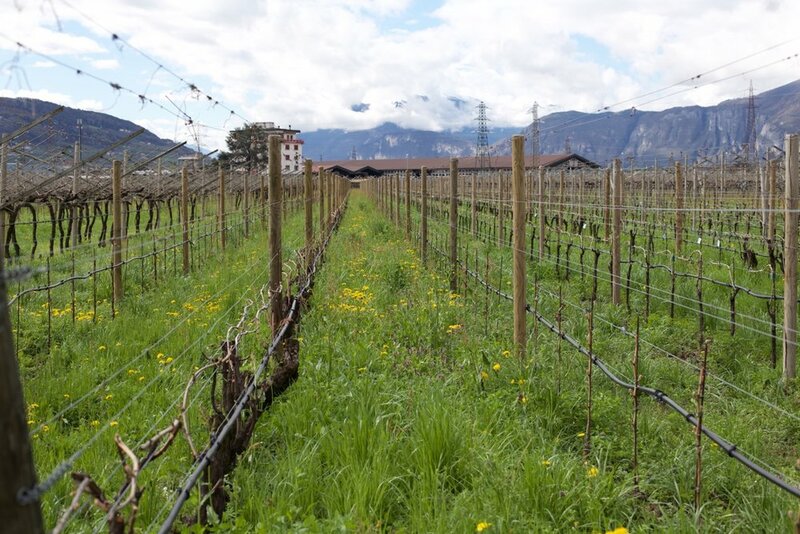 Teroldego is a high-quality red grape variety native to the region of Trentino, in north central Italy. It is related to Syrah, Lagrein, and Pinot Noir. 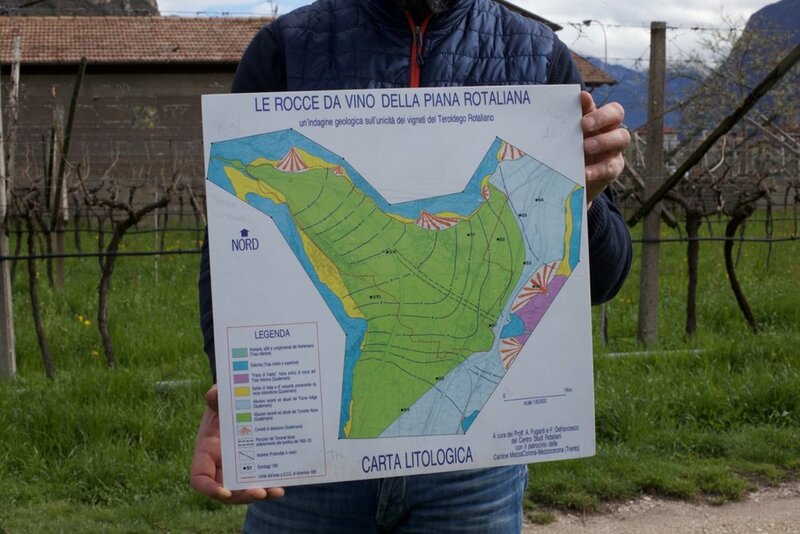 ‘The recognized, historic grand cru for Teroldego is the Campo Rotaliano, a sandy-gravelly plain born of the alluvial deposits of the Noce stream and the Adige River, found between San Michele all’Adige, Mezzocorona, and Mezzolombardo at about 230 meters above sea level…the Campo Rotaliano is one of the very few documented grand crus related to a specific grape variety in all of Italy…’* At its best, wine made from Teroldego is deeply colored, vibrantly aromatic, meaty, bright, berryish, and sometimes reminiscent of Cabernet Franc, which is a very good thing. Our Teroldego is from De Vescovi Ulzbach, a historic producer, certified organic, with more than seven hectares of vineyards in the heart of the Campo Rotaliano, at about 220 meters (725 feet) above sea level. 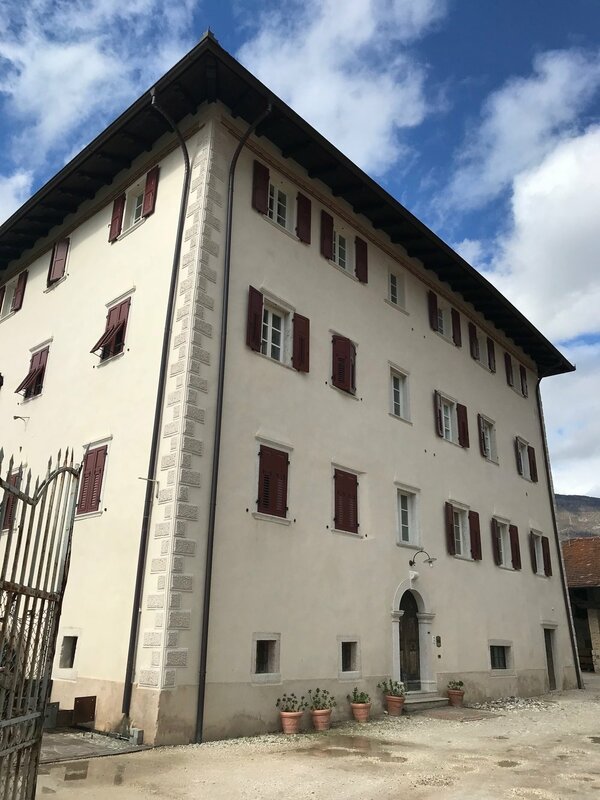 The de Vescovi family has been established in this area since the late 1600s, has owned the estate and made wine here since about 1700, and first bottled under their own label in 2003. The average age of the vines is high; some of the older vines, which date back as far as 1930, are still trained to the traditional ‘pergola trentina,’ and are being gradually changed over to the more modern, quality-oriented Guyot system, in order to achieve the ideal balance between vegetative vigor and fruit quality. The soil is of alluvial origin, with silt, gravel, and pebbles. Made entirely of organically grown Teroldego grapes, picked around the end of September; bunches are entirely destemmed, 50% of the berries are left whole; fermentation is sometimes carried out with indigenous yeast, sometimes with cultivated yeast, depending on the vintage. 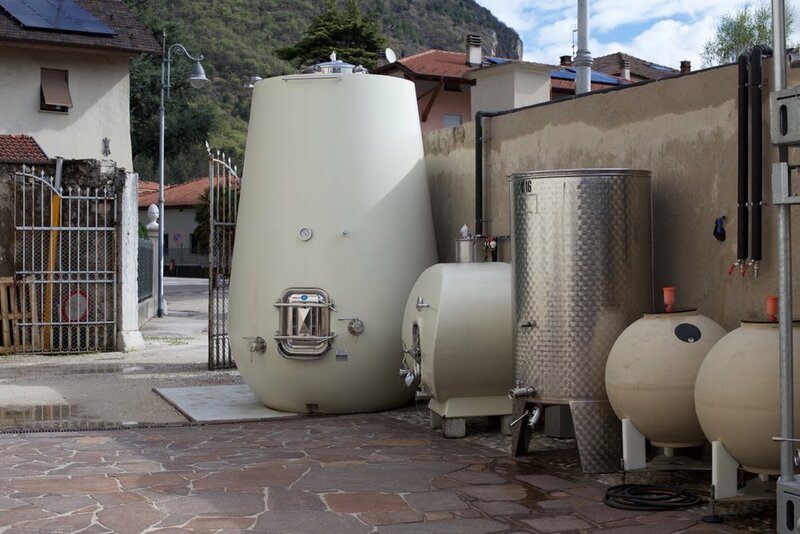 Fermentation and maceration take place in both wooden and unlined cement fermenters, for a total of up to 40-50 days. 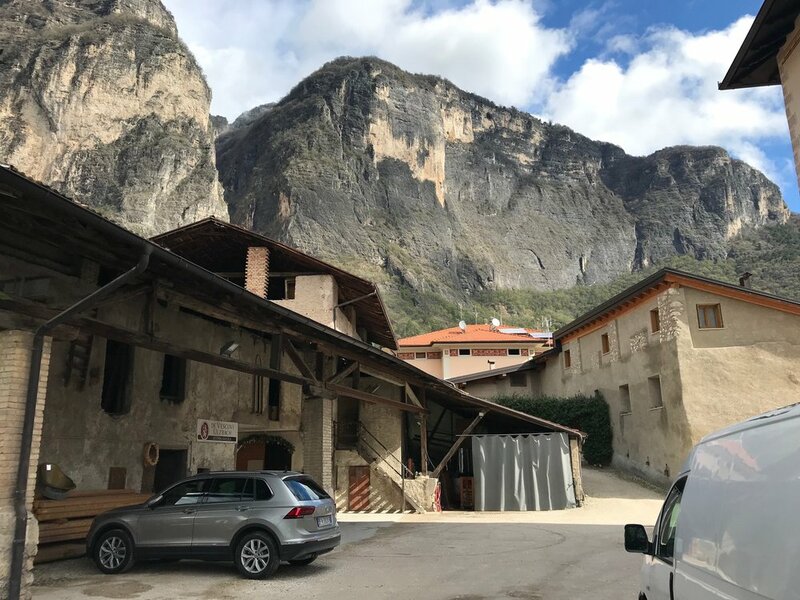 The wine is aged in French oak barrels of between 2,500 and 4,000 liters capacity and in unlined cement tanks for about 10 months. About 2,500 cases are produced. ‘Kretzer’ is a German term meaning rosé, and a term used historically in this part of Italy, which was owned by Austro-Hungary until after the first World War. This Teroldego Kretzer is made entirely of Teroldego from de Vescovi Ulzbach’s vineyards, taken immediately from the press as ‘saignée’** (with no maceration), fermented using selected yeast in both stainless steel tanks and wooden fermenters, and bottled after about 4 months in tank. Notes: middling pink color (not surprising given how deeply colored the variety can be), aroma of wild strawberries and watermelon, fresh on the palate, very interesting food-friendly northern Italian rosé. Try it with salmon, or any meaty fish, or maybe roast pork. ** ‘saignée’ means that a fraction of the grape juice is taken from a red wine fermentation shortly after pressing, when it is still very pale in color, then fermented as a rosé.